← Heartcatch Precure 07: He is actually a she? So it ends. And what a brilliant emotional ending it is. As Kobato hasn’t disappointed in its second half, neither does it in its ending. Episode 23 and 24 manage to be pretty different from each other. 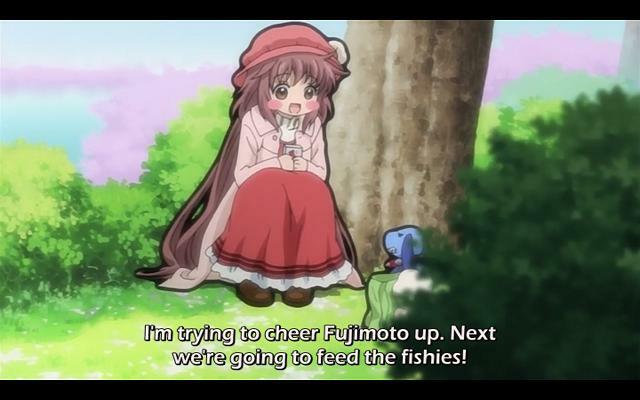 Episode 23 basically works to wrap up Kobato’s story. In the end, she didn’t finish collecting candy, but rather, took care of Fugimoto. Though it turns out his heart was so cracked that the candy she got from him was super big, or she just needed one more from him, or something, and thus, fulfills collecting the candy. 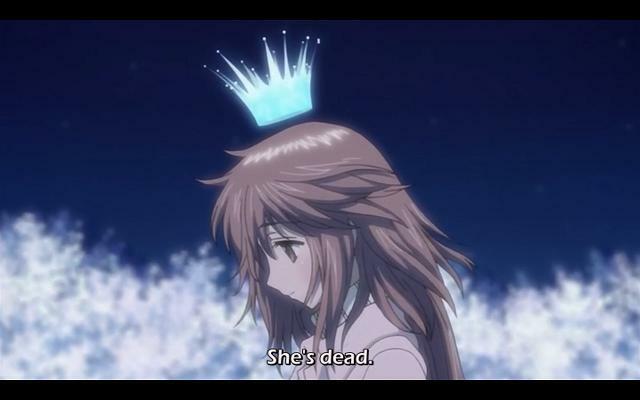 Kobato being dead really wasn’t a surprise. It was pretty obvious that she was supernatural. 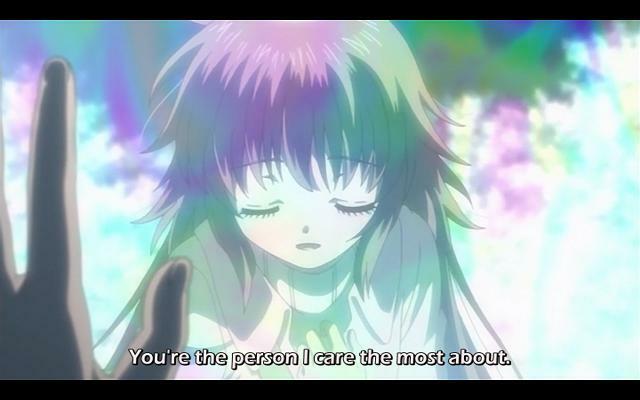 Still, this episode provided one of the best confession scenes I’ve seen in anime. There was no ‘I love you’ or anything of the sort, but that didn’t take away from the emotional impact. While Kobato got her wish granted, it was pretty bittersweet. As we’ve watched Kobato change over the past 24 episodes, her wish has changed to wish to be by Fugimoto’s side. Unfortunately, as Kohaku points out, the contract cannot be changed, so she’s stuck granting the former wish. But is her former wish any different from her current wish? Episode 24 is the tying up of all the loose ends of Kobato’s story, as not everything but answered. For the first half, Kobato’s gone, and has been forgotten by everyone except Fugimoto and one other ‘person’ on earth. Cue Kohaku answering all our questions we’ve had about Kobato. It turns out her wish was to be reunited with her true love who had been reincarnated as Fugimoto. So in an unsurprising move as someone use to CLAMP, the two are reunited in the second half, after many years has passed. However, just because it was obvious it was coming didn’t make it any less beautiful to see them together again. Oddly enough, even though she only left in the last episode, it doesn’t feel rushed, as the plot points did in Sora no Woto. Maybe this was due to the large amount of time that passed in the anime. Or maybe that has nothing to do with it. I can’t put my finger on it, but it felt right. In the closing scenes, we get to see what happened to pretty much everyone in the show. And I mean everyone, down to characters that only appeared in one episode. Seeing the nursery kids in school was a wonderful moment, and Sayaka and her husband at the new nursery was just as wonderful. 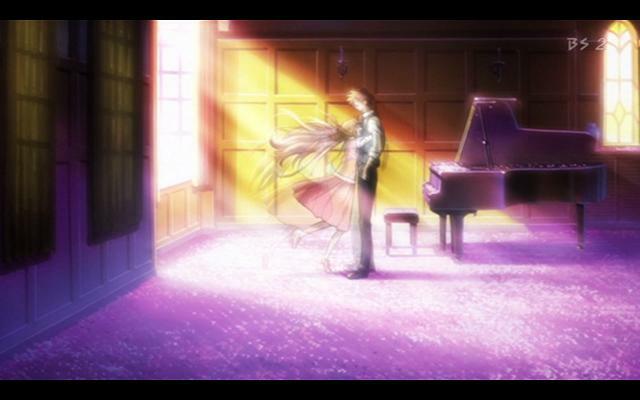 Very rarely does an anime provide a completely satisfying ending, but this one does. I’m going to miss this show, it’s been a great experience, and will be, while probably not in the top 10, on my top anime lists of all time. That, in short, is what I’ve been trying to tell to some people about Kobato, and haven’t been able to. It’s incredible feedback and I have to rate this review five stars. I also think this ending is very satisfying. It will definitely stick in my top ten anime as well!! I have to be truthful, I’ve watched many Anime’s beautiful, sad and somewhere in between. Out of them all none had brought me to tears. But by the ending I found myself crying. It was my first experience crying tears of joy.